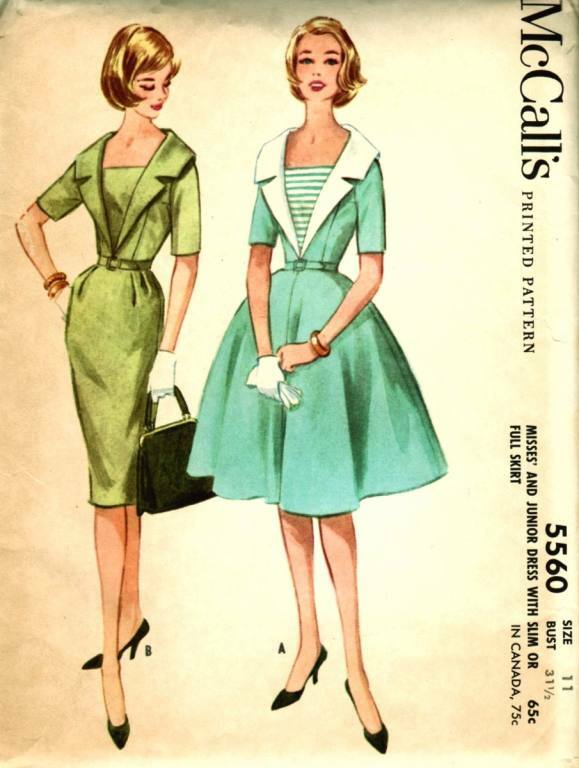 McCall's pattern 5560, from 1960. Full or fitted skirt, just below the knee. A "dressy" dress for shopping or luncheon. Too fancy for a normal school day. The fitted bodice looked best over a "merry widow" corset or waist cincher. 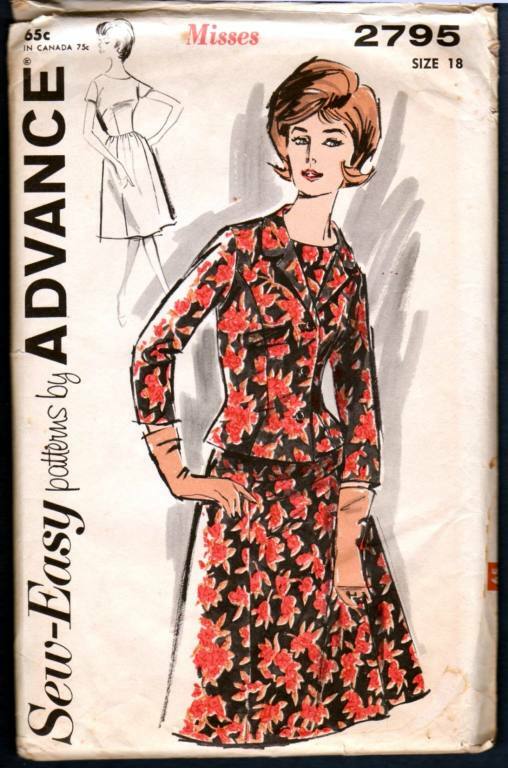 Advance pattern 9424, from 1960. 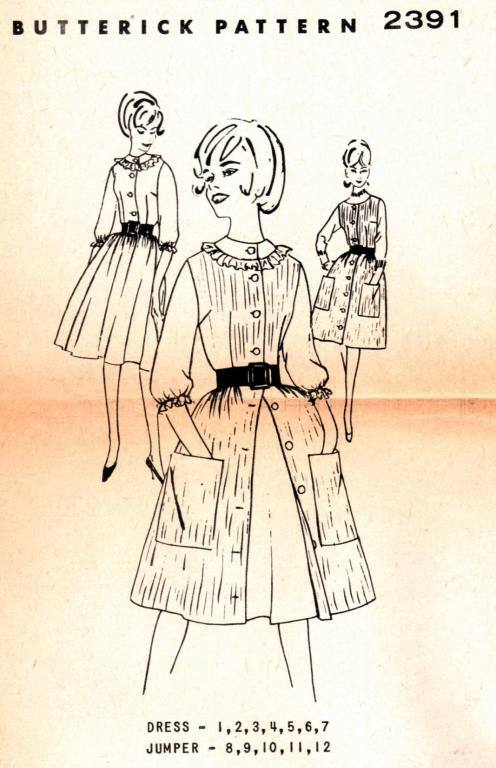 A shirtwaist dress for an adult, suitable for work or school. 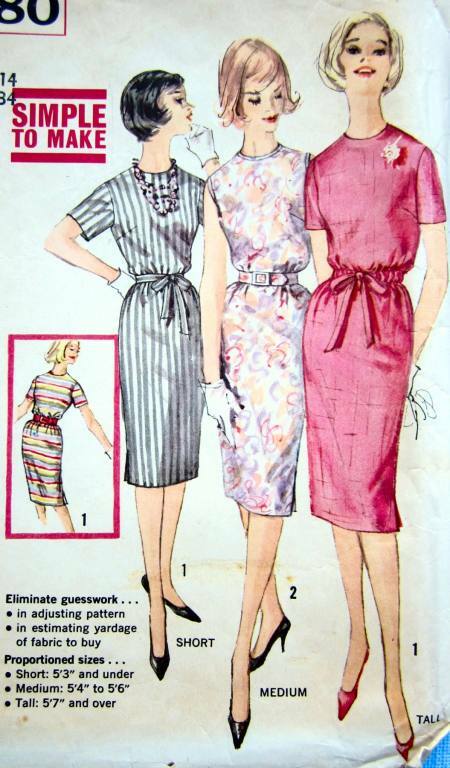 This style -- full skirted or slim -- was the backbone of many wardrobes in the late fifties and well into the sixties. 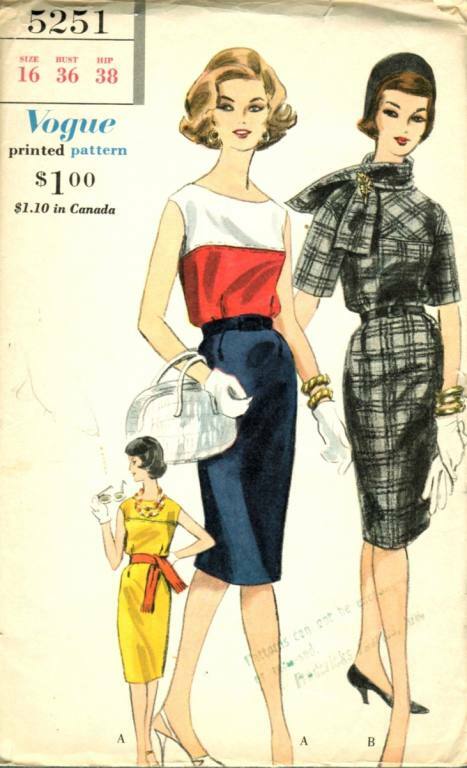 Butterick jumper and dress pattern 2391, circa 1962. This might be worn to school or in some informal jobs. I can imagine a librarian or clerk wearing it. To enlarge any image, click on it, then select full screen. 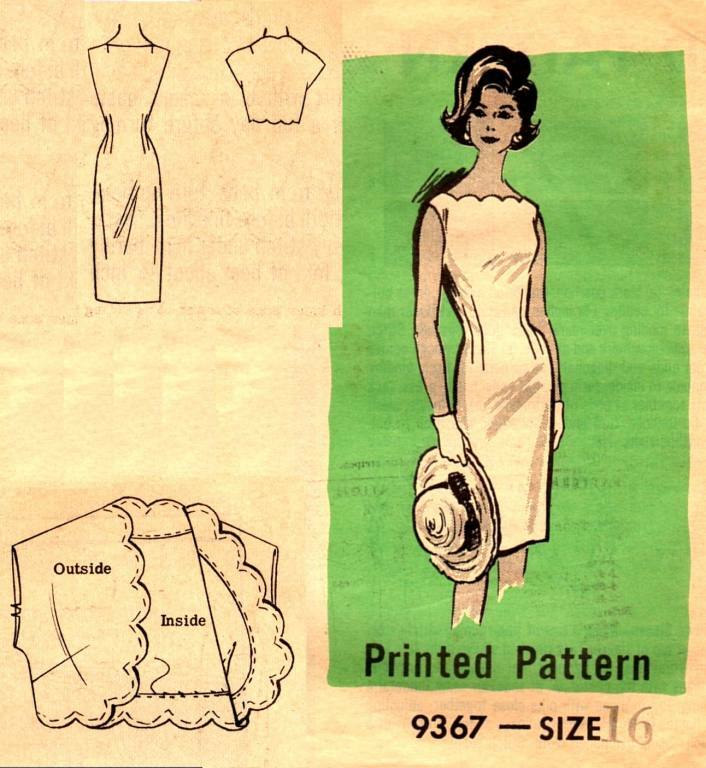 Simplicity pattern 3780, circa 1960.The slightly bloused bodice is no longer tightly fitted with darts, but loosely gathered with a drawstring Vogue pattern 2521 from 1961. A bloused dress for the office, shopping, etc. Fabric (wool, silk, cotton) would indicate how "dressy" it was. 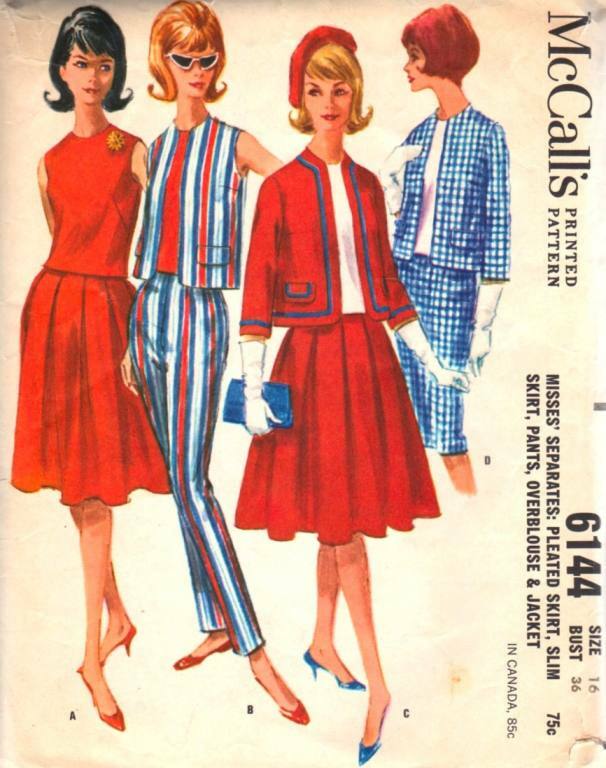 McCall's suit wardrobe #6144 from 1961 offered many options, including slim pants -- strictly for casual recreational wear. Women did not wear trousers to school or the office. 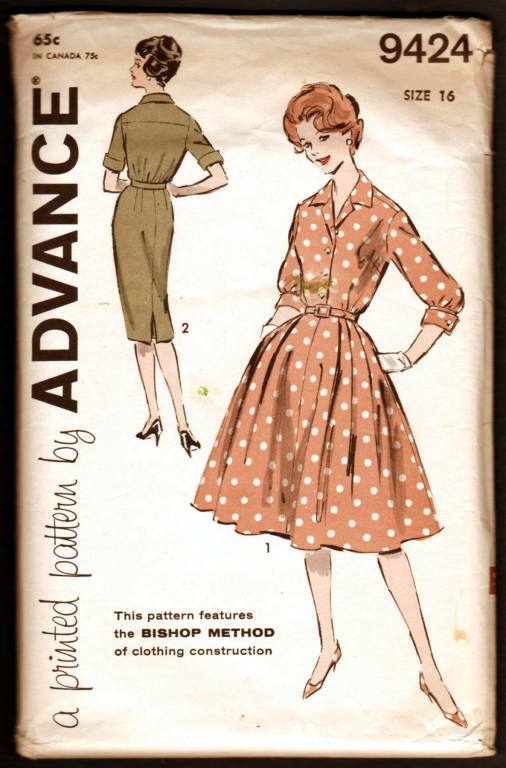 Advance pattern 2795 from 1961-1962. The matching dress and lined jacket It is shown in patterned silk, and would be for cocktail, late afternoon, or dinner wear. The model is twenty-ish, but the style is not youthful. 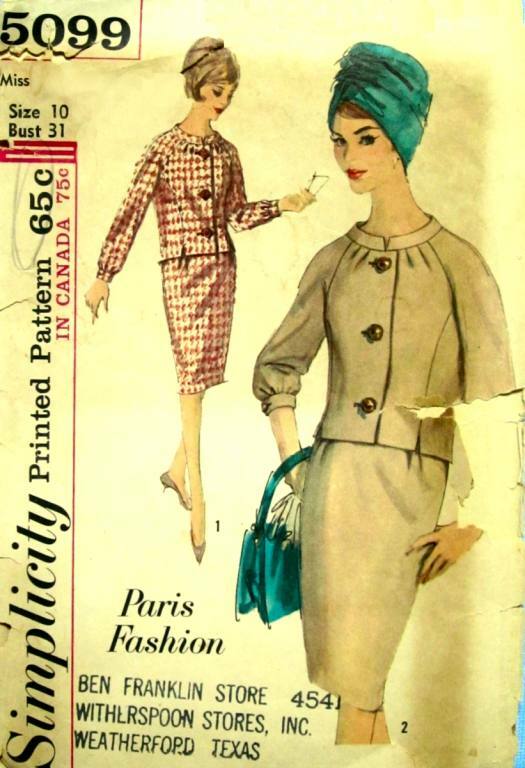 Simplicity 5099 "Paris Fashion" has elements of the Jackie Kennedy look: the body-skimming fit, the wide neckline, the 3/4 length sleeves, and the hem just covering the kneecap. 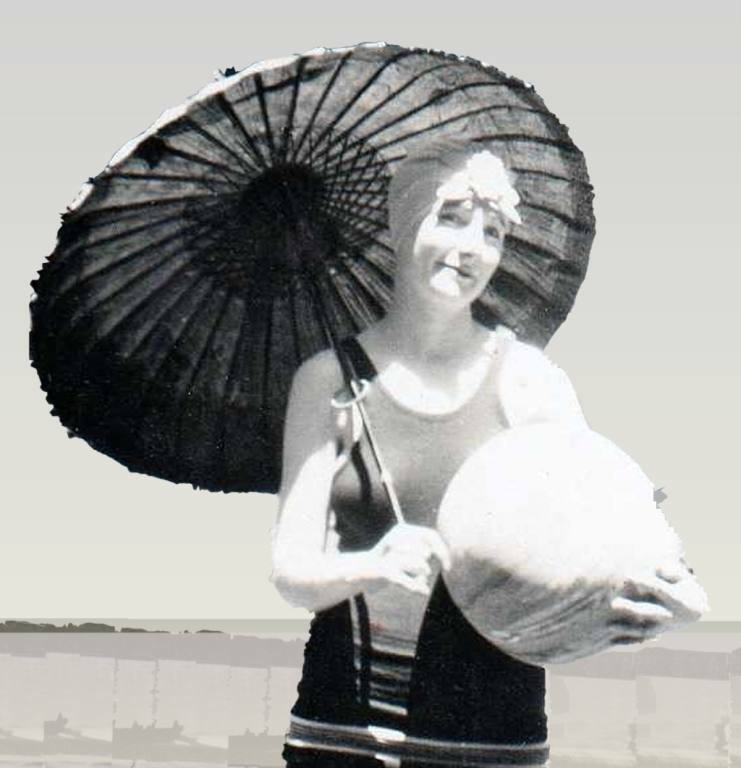 Young shoppers might be put off by the turban, but the suit is not designed just for older women. The number sequence dates it to 1963. Mail order patterns advertised in newspapers, like this one, #9367 from Marian Martin, made fashion available to women in rural areas. In 1963, My mother bought them; I usually associate them with older women, but at 18, I wouldn't have been embarrassed to wear this dress.